Engage guests with personalized desserts! 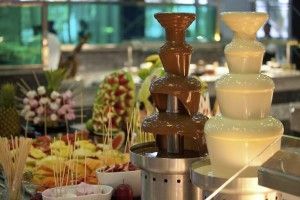 - Opt for a chocolate fountain with a plethora of treats to dip and dunk. Sweet dipping ingredients like macaroons, fruit, lady fingers, and marshmallows are popular choices. Don’t forget about the salty dipping options as well, such as pretzel sticks, or crackers. Bacon also offers some variety for the more adventurous foodies! - An ice cream station with a variety of toppings and sauces is always a good choice as it’s easier to consume after a big meal. It also lets your guests personalize their dessert! Be sure to include sorbet as a dairy-free option for your lactose-intolerant guests. - Skip the fruit cake, and opt for a build-your-own cupcake station instead. Your guests will enjoy the flexibility in customizing their cupcakes with toppings like sprinkles, icing in various colors and flavors, candy, and fruit. Much like the chocolate fountain, don’t be afraid to throw in unexpected ingredients like bacon for those with daring pallets. - Add a cozy element to your dessert table with a s’mores bar. To do this, simply set up your table with a row of tea light candles (in candle holders for safer keeping), your s’mores ingredients, and dipping or short skewer sticks for roasting the marshmallows. It’s a great way to engage your guests, and serves as a good addition to your holiday party entertainment. With these entertaining options, your guests will definitely want to save room for dessert! - Put your guests’ gift-wrapping skills to the test with a Christmas Gift-Wrap relay! Divide your attendees into groups, set a time limit, and get let the gift-wrapping chaos ensue. The first group to successfully (and beautifully) wrap their gift-box is the winner. - Another easy and fun game to play is “Fill-the-Christmas-Stocking”. Again, it’s a race against time to full the stocking with candy using just a spoon. The first team to fill the most candy wins! For more activities, take a look at these 25 Christmas party game ideas. Secret Santa is a great way to exchange gifts with your colleagues without breaking the bank. However, if you pick someone you don’t know well, it can be quite a challenge finding something he or she will like. To avoid any awkwardness from poorly masked disappointment, switch up your Secret Santa routine with a gift-exchange game called White Elephant. It’s a great game for team-bonding, a perfect addition to your holiday party entertainment, and sends everyone home happy! If you’re unfamiliar with how the game is played, read on for the official White Elephant gift exchange rules. 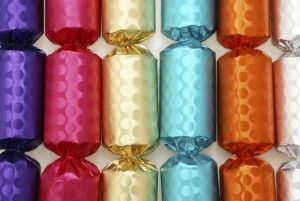 Gift-exchanges can be tricky to pull off with large groups, which is why Christmas Crackers make a great substitution. They require minimal work, and come pre-packaged. However, this doesn’t need to be a passive party favor. Instead, turn it into a game! We’d recommend these Bingo Christmas Crackers—they’re a fun way to get everyone involved, and a great way to wrap up a sit-down dinner. The lucky winner can go home with a grand prize of your choosing, while everyone else still receives something tasteful. Hosting a holiday party means you’ll be a very busy body—before, during, and after the event. Whether it’s a company party, or you’re hosting one at home, opt for a photo booth for your holiday party entertainment. It’s an interactive form of entertainment, breaks the ice amongst guests, and captures all the fun from the evening. While it may be tempting to go with a cheaper rental, think about the quality of the photos and the overall value. Some companies don’t include a photo booth attendant, which means you’ll be pulling double duty. And we both know you don’t have the time for that! Not convinced? Here are some other great reasons why your holiday party needs a photo booth! 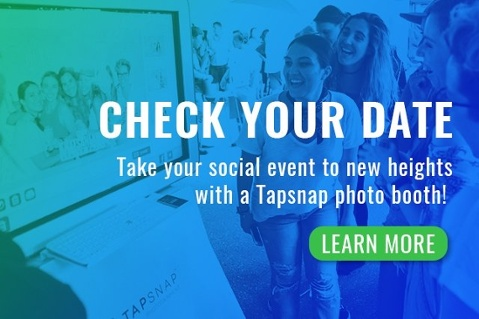 TapSnap 1062 also shows us why a photo booth is a great addition to your company holiday party, so take a look. Don’t forget that Christmas contest! If you want to score brownie points with your guests, give away a prize, or two! It makes things interesting, and doesn’t have to be elaborate. To make it simple, mesh the contest with your theme (if you have one). For example, if you have an Ugly Christmas Sweater theme, the best… er… ugliest sweater wins! If ugly Christmas sweaters are too tacky for you to handle, there are plenty of other options. If you have a photo booth at your party, pick different photo categories that people can enter to win (or one, if beyond that is too much). Some of these categories could include: most Christmas-y picture, funniest picture of the night (use those digital props! ), and, silliest Animated GIF of the evening. 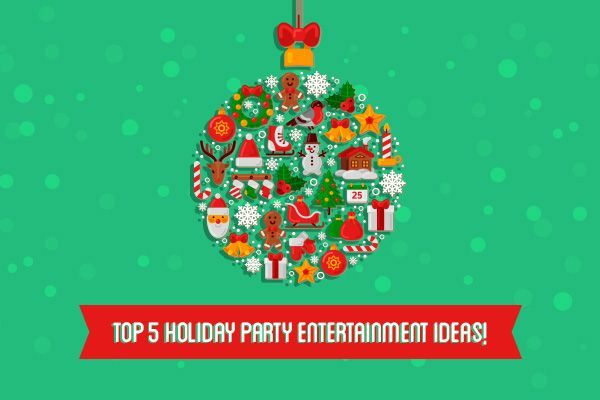 With these holiday party entertainment ideas, your guests will be in for a nice surprise. Remember, even if you’re the host, don’t forget to have some fun yourself!